The bride asked me if I knew a quiet spot in Central Park. Sounds like it could be a paradox. But I did know about a spot. I needed to suggest a perfect location in Central park to a groom to be, for a surprise proposal. It is very intimate. As you can tell from the photo, we are up a hill in a small open air structure. It was built by a boy scout troop. It became the perfect setting for this intimate wedding ceremony with 15 or so family members in attendance. 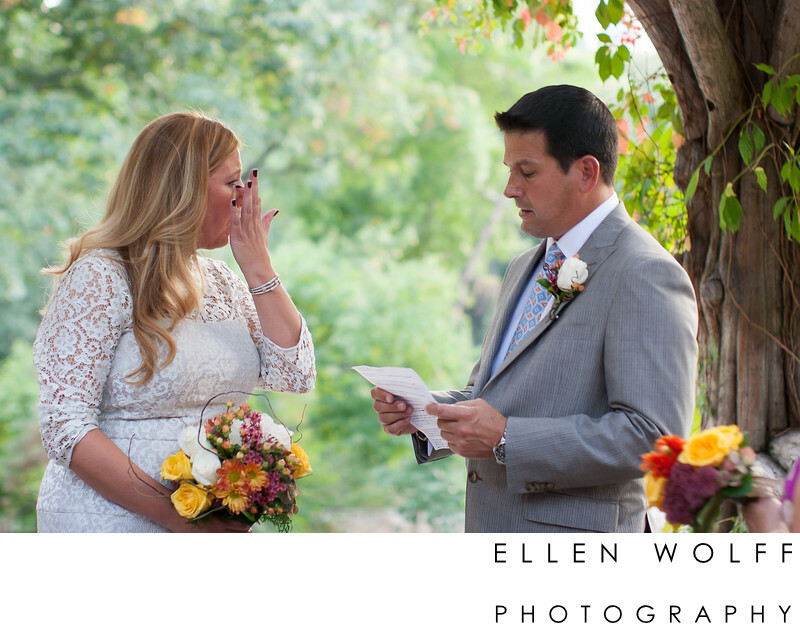 When the groom read his vows to the bride, it was so emotional.Keywords: Central Park (6), intimate wedding (9), outdoor wedding ceremony (3), wedding ceremony (27).